Forgive this comparison if you were not born in the generation that will immediately relate, although I suspect that with the slight help of Google, your memory may be jogged. When I think of the illustrious German footballing manager Jupp Heynckes, I can’t help but think of Splinter from Teenage Mutant Ninja Turtles or The Karate Kid’s Mr Miyagi. Granted, only one of those is a human, but their traits are more similar than different. Both have the aura of a sage; both are enigma’s marked equally by their presence as by their absence; and both are leaders and owners of noteworthy intellect. Masters in their respective circles, this trio have an uncanny ability to not only make changes, which is what we expect from leaders, but to shape the future. In his four tenures at Bayern Munich, Heynckes built a unique brand of football that never quite fit with the prevailing tactical trends but served up one of European football’s most memorable cup runs. Then he’d disappear, come back to save the day, and disappear again. 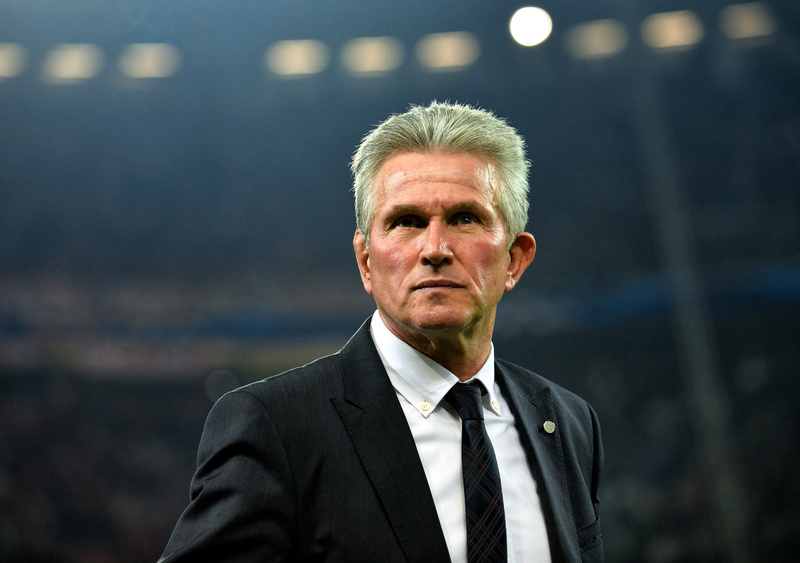 Few men in football are held in as universally high regard as Heynckes. Looking at him now, unassuming yet still full of vigour considering his advanced years, we can see a depth of knowledge, a life of supreme highs. I will not use that word lightly. As a striker he spent most of his storied career at Borussia Mönchengladbach. As a manager, he has been far more nomadic, yet he’s still managed to develop a signature. A true tactical master, his experiences leading up to his final tenures in Munich were part of his contemplative journey through football that spanned decades. What manifested in Bavaria was his magnum opus – his lifetime’s work. No one knows the Bundesliga better than Heynckes. Having played 369 games in the league and managed 669, he’s been involved in more games than any player or manager before him. With eight trophies, split evenly between his time playing at Borussia Mönchengladbach and later at the helm of Bayern Munich, he’s also the only German coach in history to win the treble. Experience, though, can only take someone so far. A notoriously deep man, bestowed with an almighty capacity for holistic planning and with a predisposition for effective football, he is a planner through and through. A modern stoic prepared for a multitude of possibilities. His shock of ash grey hair is emblematic of the dashing and gracefully aged figure who’s stood on the sidelines of the grandest stadia in the world. He looks stern and vaguely disciplinarian, yet is unassumingly gentle in his thorough understanding of the people involved in the game, from the groundskeeper to the midfield maestro. As a player, Heynckes was a ruthless goalscorer who helped drive Gladbach to their most successful era. 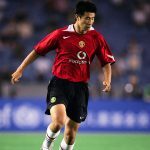 On the field, his once wavy hair danced as part of a deceptively powerful body that bagged roughly 0.7 goals per match over the course of 308 games. It’s a phenomenal record split between two spells from 1963 to 1978. You could be easily fooled into thinking he wouldn’t have been capable. His frame looks small despite being just under six foot, but his wiry build is bolstered by a raw desire for victory that was implanted into the player through his formative footballing influences, coaches Hennes Weisweiler and Udo Lattek, both legends of the German game and two leaders in Die Fohlens’ dominant years. Twice Bundesliga’s top-scorer under their tutelage, they fostered in him a steely will to win, something both of the coaches shared. It was under Lattek that Heynckes best exhibited this trait, and would later integrate it into his process of tactical thinking when he became a manager. To fully understand how far Heynckes and Lattek were willing to go, picture this: it’s the final game of the season. The year is 1978. You’ve got to win your last game to secure the league. There’s a catch, though. The side ahead of you boast a +10 goal difference. Köln were at the top of the table and facing St. Pauli, while Heynckes’ side were up against a struggling Borussia Dortmund. Against all logical predictions, that game finished 12-0 to Gladbach with five goals from Heynckes. It was unfortunately not enough after St. Pauli fell 5-0 to Köln, but it is one of the most impressive one-off displays of club football ever witnessed. They didn’t win, but few could boast bringing it so close to the wire. Lattek later took Heynckes under his wing as his assistant before the 34-year-old took control of Die Fohlen the following season. In his second year they reached the UEFA Cup final, where they lost to Eintracht Frankfurt. His promise was clear. His success staggered, with peaks coming in the 1983/84 season, when Gladbach finished third, missing out on the title on goal difference, and then in his final season when the side again finished third and made it to the UEFA Cup semi-final. In between those highs were average finishes that were still enough to convince Bayern Munich to take a chance on him. On leaving Gladbach he was branded “the champion without a title” in the papers He was a hero to fans, but when Bayern came calling, he had to answer. His first spell at the German giants began in 1987. Although only for four years, it would be his longest of four spells at the Bavarian club. ‘Osram’, an affectionate nickname given by fans on account of his reddening face bearing a likeness to the German light manufacturer, showed an adept tactical knowledge from the beginning in Munich that he displayed in both the domestic league and European competition. Following short stints at Athletic Club and Frankfurt, a two-year tenure from 1995 followed at Tenerife. The club made it to the UEFA Cup semi-finals and finished fifth in LaLiga, drawing him to the Spanish capital. Although it’s in the Bundesliga that his name is truly legendary, he also steered Real Madrid to the 1997/98 Champions League title in his only year at the club. This was the first time the trophy, formerly the European Cup, had returned to Madrid since 1966. Despite that, the board weren’t convinced by domestic performances and he was yet again on the move. An unpopular spell at Benfica followed in 1999/2000 before he moved back to Bilbao where, in both of his seasons there, he narrowly missed out on European places, pointing his ship back to Germany. It was Schalke who welcomed him home and it was in Germany that he’d spent the rest of his career. On leaving Schalke 04, he headed back to Gladbach for a season before announcing his retirement from management in 2007 after his lifelong club were relegated. Two years later he returned, taking over at Bayern Munich as caretaker for five games before a successful two seasons at Bayer Leverkusen enticed him back to Bavaria for a third spell. It was here that years of accumulated knowledge materialised into his enduring legacy. Time spent on the continent bestowed him with two particular traits: the ability to manage individuals and the ability to have a tactical overview that eschews trends. From the combination of the two came his fabled 4-2-3-1 formation. 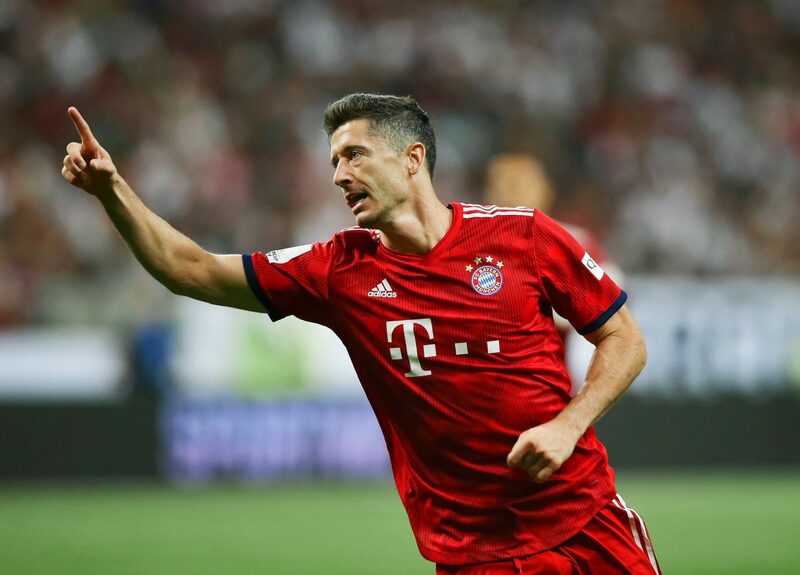 After finishing runners-up in all competitions in the 2011/12 season, the following year at the Allianz Arena, set to be his last, was his chance to not only improve but vindicate his presence at the top of football. Runner-up had never been good enough in his playing days, so why now? Heynckes’ system hinged on containment and was noteworthy for its emphasis on every player defending, its fluid movement that utilised every pocket of space, and on the collective. Very rarely was Bayern’s defensive line breached in their impressive 2012/13 season, leaving Manuel Neuer safe in the goal. The squad’s ability to communicate and move with such profundity and purpose was largely down to their manager’s focus on movement and space, something he picked up from Lattek. It’s difficult to talk of space on the pitch without Johan Cruyff’s influence, and it’s in the elegant Dutchman’s words that we can understand the genesis of Heynckes’ thought: “If you have the ball you must make the field as big as possible, and if you don’t have the ball you must make it as small as possible.” That’s Heynckes’ Bayern squad down to a T. His wingers were utilised to their full capabilities, stretching the field to its maximum width, but were still able to play as part of a compact midfield with a high defensive press. It’s accordion-like dexterity played perfectly to the tune of Heynckes’ dugout demands. In this season, the team conceded only 18 goals in 34 league games. The next closest were Bayern Leverkusen on 39. In this kaleidoscopic system of fluidity, Heynckes’ defence was impregnable, and they attacked with unprecedented efficiency. Goals came in many forms and from many positions. Ribéry, Müller, Schweinsteiger, Kroos, Mandžukić, Pizzaro and Gómez all had their share of the spoils. The supremely fit squad smashed almost every conceivable record. From the most points in the league to the longest winning streak, it was, in many ways, unmatched. The identity that Heynckes developed became emblematic of both the man and the club. It set a benchmark for how to play with a new generation of German players. It was a system that, in his absence, gathered dust, until Heynckes himself made his long-awaited return years later and wiped it down. That is to say, it was something that never really caught on. He eschewed the fashionable tiki-taka and the formidable German Gegenpressing, opting to take a bit from each to make something essentially his own. Arrigo Sacchi, of whom Heynckes’ 4-2-3-1 would sometimes morph into a rough 4-4-2, similar to the Italian’s, holds the German in high esteem. That’s no mean feat. By squeezing play in the midfield areas with a high defensive line and attackers reverting deeper, his side stayed in command of space at all times, moving inwards to defend and extending telescopically when in transition. According to Sacchi, it was the team’s ability to perform as a whole that meant their high-pressing approach couldn’t be broken down easily by their Italian opponents. It was a model whose genesis most clearly went back to Cruyff. The torch had passed from Dutch master to Italian innovator and all the way to the German refiner. 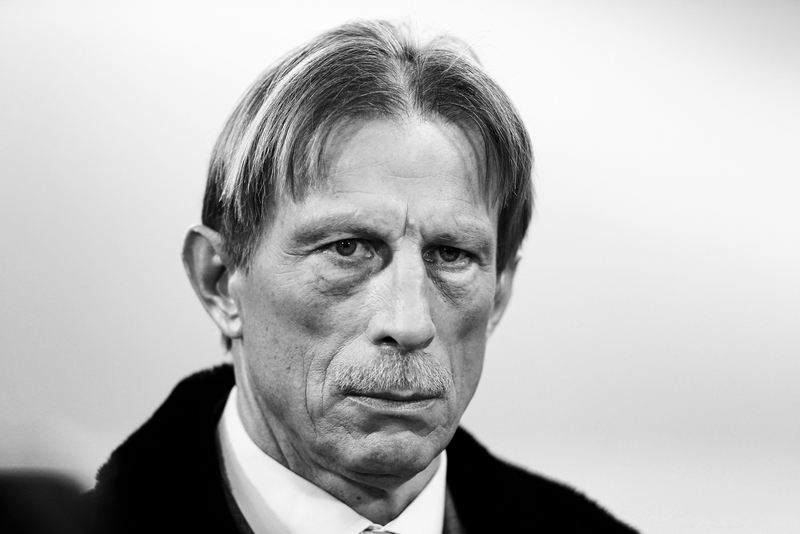 Due to his vast experience and tactical nous, his intimate knowledge of the dimensions of the field bestowed Osram with a bird’s-eye view of the game. 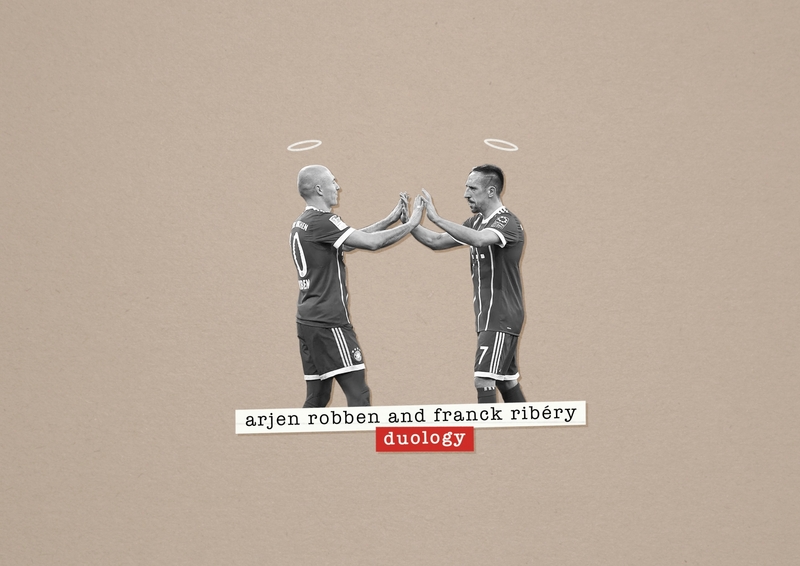 Under him, Thomas Müller, one of modern football’s most unorthodox players, had a home and wingers Franck Ribéry and Arjen Robben enjoyed the best years of their careers, becoming one of the most formidable duos in football history. Although the two had a well-documented altercation, it was the sense of selfless pride instilled in them that helped them patch up their differences. “He knows how important we both are for Bayern. I’ve always said I don’t care less which of us gets more goals or assists – I’ve never been envious of Arjen’s goals. It’s all about the group; about Bayern Munich, and even Arjen’s happy with each goal I score,” Ribéry stated. Facing-off against fellow Germans Borussia Dortmund in the Champions League final at Wembley, Heynckes’ style came up against an opponent that was savvier than most others. It was here that his dynamic wingers would be immortalised in that legendary side. Mario Mandžukić netted the opener after some intricate attacking interplay between the two split open Jürgen Klopp’s Dortmund defence, leaving seven black and yellow bodies hopeless in the box, such was their accuracy and speed of motion. After a penalty pulled it level, Die Roten stepped up the pace and pressure. At the death of the game, a Ribery back-heel on the edge of the box allowed Robben to exploit the bemused defence with his pace and calmly finish to win his side the silverware. Under Heynckes’ tutelage, their dynamism was bolstered by the solidity of the midfield engine room of Schweinsteiger and Javi Martínez, freeing the anarchic Muller to roam, causing havoc for defences from a deeper role and allowing the sole striker – Gomez, Pizarro or Mandžukić – to focus on goals. The versatile Toni Kroos was able to shine as the dictator, rotating with the midfield and giving Heynckes the option to rest players, another key element of his system. Efficient in all zones, their well-drilled midfield was football’s gold standard that year. The deeper two aimed at opening up and exploiting pockets of space for the attacking players, causing headaches for opposition managers who seemed unable to deal with Bayern’s transitions between attack and defence. Impossibly fast and boasting breakneck decision-making speed, they were dazzling to watch. If Klopp and Ralf Rangnick are princes of the press, Diego Simeone the king of pragmatism, then Heynckes is the godfather of movement. 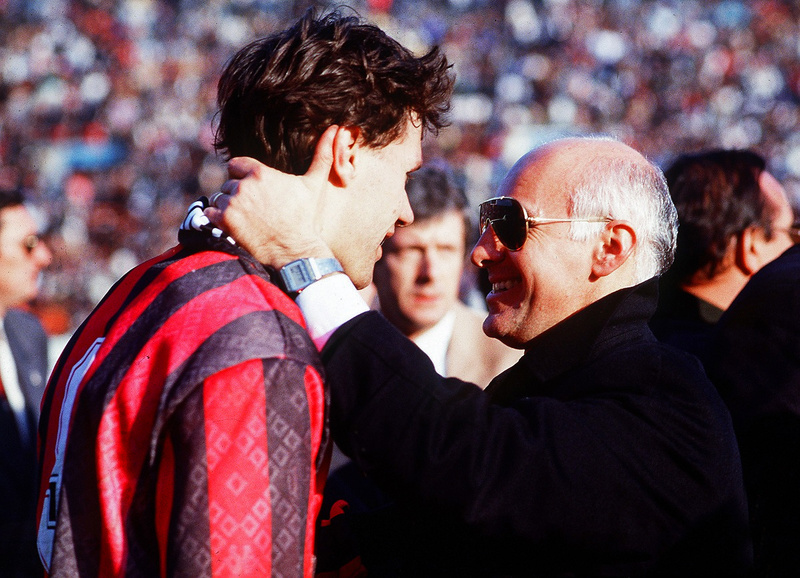 Acknowledging this quality, Sacchi said of the attitude instilled in his side after the Juventus victory: “The difference between the Bavarians and Juventus was the conscious of the collective – a difficult value in a country such as ours that is primarily individualistic.” It’s possible that the German nature lends itself to cordial relations, yet no one utilised it like Heynckes. And that was that. For four years he disappeared back up to his temple in the mountain. Football, though, is imbued with the ability to stir every superlative emotion within our body. The twinge seemed too much to resist for the ageing German and, in 2017, he came back to reinvent things one last time. Carlo Ancelotti took charge at Bayern after Pep Guardiola had somehow filled and then re-laced Heynckes’ boots. 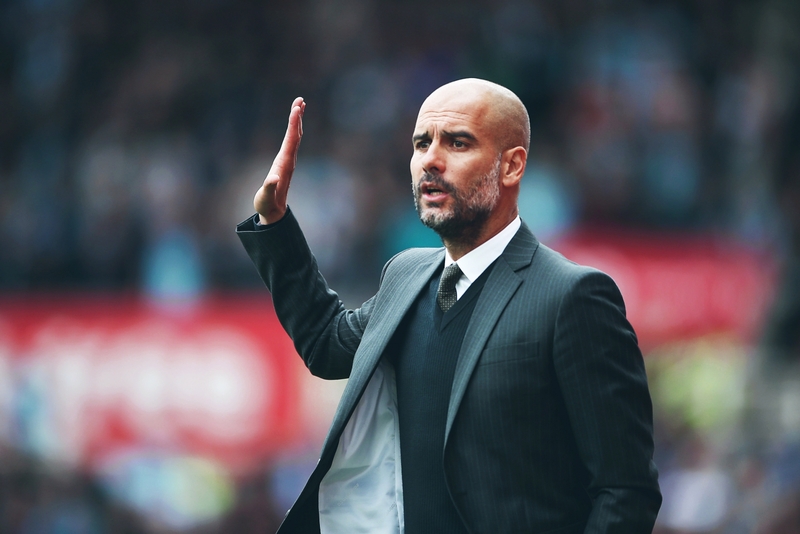 Many will say that Guardiola inherited the German’s Bayern squad, with the work having been done in their treble season, however that would be a slight on the Spaniard who won the Bundesliga in all of his three seasons at the club. Guardiola’s system was unique. His ability to create a uniform identity and play possession-based football was effective and difficult for Ancelotti to follow up on. It is interesting, then, that, despite the Italian bridging the gap between Pep and Heynckes, on return, Osram would incorporate facets of Pep’s game into his own. A daunting task for most, the silver-haired elder statesman seemed nonplussed. He would resurrect his old system, yes, but tweak it to fit with the times. 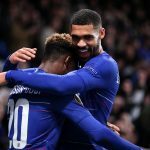 With a floundering side, five points behind Dortmund at the top early in the season and after a hammering from Paris Saint-Germain, work had to be done. The rejuvenated side quickly fell back in old habits, though, and despite the personnel changes, quickly accelerated up the table, eventually finishing the season 21 points clear. His mind seemingly broadened by his sabbatical. Heynckes had brought back what we saw in 2013, yet allowed for more flexibility, perhaps as a reaction to an increasingly progressive and quick league. Despite his growing years, the old dog had learned new tricks. His team was 20 percent Guardiola and 80% his own. There’s a saying about great artists and stealing. Heynckes focused on Positionsspiel (positional play) upon his return. Having never had the talismanic Lewandowski in his side before, he adapted the system to fully utilise his immense goal-scoring ability. He came in particularly handy as the spearhead, netting 30 goals in the Bundesliga as top-scorer. The spread of goals was more concerted, but the way play built up to them wasn’t much different. The 2017/18 team, despite falling short of winning both the Champions League, losing to eventual winners Real Madrid in the semi-final, and the DFB-Pokal, missing out to Eintracht Frankfurt in the final, was hailed by many as even more impressive than his previous side. The missed trophies have unfortunately detracted from that sentiment. Heynckes praised what he saw unfold: “Bayern have never played a football this modern, this attractive, this contemporary in their whole history.” Although not modest, he’s not got the ego or public persona of many leading European coaches either. He knows good football and how to get his team playing it. His fourth and final spell at Bayern had his side outperform any other team in Europe on a game-for-game basis, including Guardiola’s City, as he managed 36 points out of 39 in his first 13 games, with his former squeeze Gladbach drawing the run to a close. Even Guardiola, arguably the most forward-thinking tactician in the modern era, couldn’t take the team to a Champions League final like Heynckes had. Success, to the club’s powerful board, means European trophies. It’s easy to believe that club president Uli Hoeness and CEO Karl Heinz-Rummenigge would welcome back Heynckes for a fifth spell, should he so choose. Very rarely do managers have the clout to hold their own against a club’s board, but Heynckes’ loyal and hospitable nature translated well at Bayern. John Brewin described the club’s hierarchy as “a cabal of highly opinionated former players”. That’s an imperious atmosphere for most, unless, of course, you used to play alongside. He was an expert motivator who was able to control a dressing room, which, in Bayern’s case, is one of the biggest in the world, and through exerting this discipline in training, freed his players to do their jobs on the pitch. As a player himself, Heynckes was masterful and in the context of his managerial life, these years were his apprenticeship. The following period spent as a manager allowed him to refine a vision that, when he finally got the right group of players, he could implement to its maximum. Combining ideas of space developed by Cruyff and Sacchi and implemented through the lens of his own man-management, he redefined Bayern. Osram, the man whose face lit up like a light, was equally capable of flicking the switch on an entire stadium. His career was long, but his legacy profound. An unforgettable treble, the fluid 4-2-3-1, and the concept that football could be played perfectly will always be tied to his name. 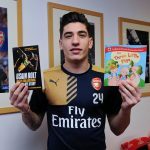 If he comes back, we can be sure we’ll see more of the same. We can also be sure that there will be subtle differences, for the game will barely have left his mind. He was the ultimate utilitarian whose football happened to be beautiful. Only a thorough and obsessed mind could produce these ideas. He turned players into champions and took lofty ideas to practical solutions. There’s a lot to his philosophy to remember, but even more that we could never forget. Above all else, his legacy heralds the importance of being a leader, of leaving no inch of the map unchartered.